Imagine the helplessness of being unable to distinguish painful past experiences from present ones. According to Bessel van der Kolk, author of The Body Keeps the Score, this is what happens when a traumatic memory is triggered. Old emotional responses bubble up even when the current trigger has little to do with the original trauma. 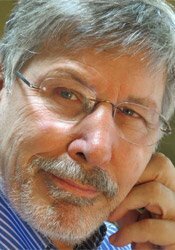 By Bessel van der Kolk - My hope for the field of trauma treatment is that we learn how to help people bring their imaginations more fully to bear on their possibilities. More recently, we’ve been exploring the capacity to rewire brains that are stuck in freeze and terror and develop a sense of self-compassion that enables people to integrate their dissociated self from the past into in a calm state of mind in the present.